Are you thinking of furthering your career with a research degree and solving real world problems? The Inspiring Minds Scholarship is available to Australian residents and is valued at $40,000 per annum and offers you the opportunity to undertake a PhD at Edith Cowan University. These scholarships link exceptional students with highly qualified supervisors and research facilities in health, education, engineering, environment, business, communications and creative arts. This scholarship is open to individuals who are prospective and current ECU students. Questions about this scholarship can be directed to scholarships@ecu.edu.au. *If you have submitted an application for course entry and have not yet been issued an offer, or you are currently enrolled in a Bachelor Honours Degree, a Master’s Degree or Integrated PhD you can apply for this scholarship and your application will be assessed conditional on achieving the minimum requirements. You have been given entry to the ECU Integrated PhD (J42) and you have not yet completed your first year. You have completed an Australian Research Doctorate Degree or equivalent. You have completed a Master by Research and you are seeking admission to an ECU Master by Research. You are have been in receipt of an Australian Agency for International Development (AusAID) scholarship within the last two years. Refer to the HDR Scholarship Conditions 2017. To apply for this scholarship, you must first apply for admission into a Higher Degree by Research course if you are not already enrolled then complete the ECU higher degree by research scholarship application and indicate you wish to be considered for the Inspiring Minds Scholarship. 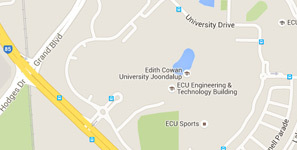 Application is made via the ECU Online Scholarship Application Portal by selecting Edith Cowan HDR Scholarships. Access to the portal is available between application opening and closing dates. If you are interested in the School of Medical and Health Science’s research strengths, please visit the School’s web page.